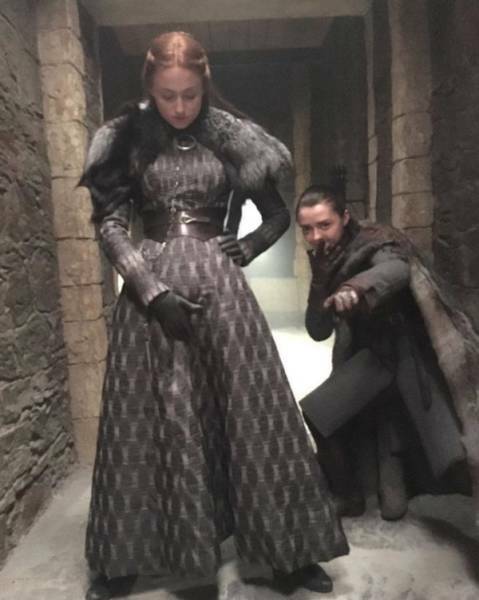 Sansa with the crotch grab and Arya with the power point. 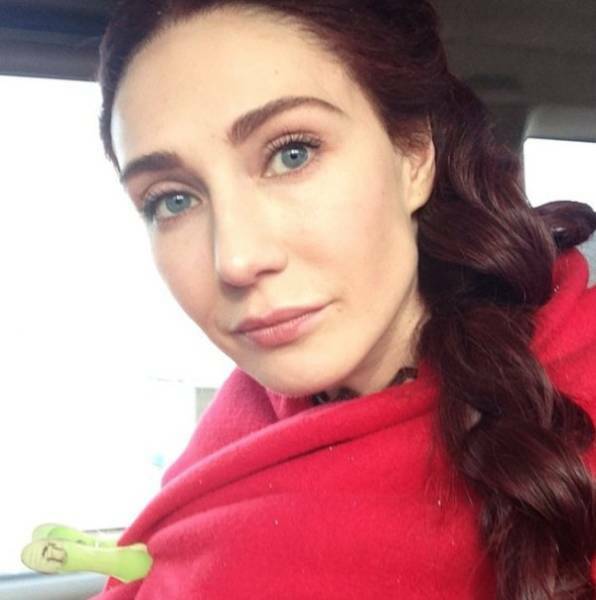 Melisandre reveals how she keeps her robe securely on her body, yet ready to be torn off at a moment’s notice: a chip clip. 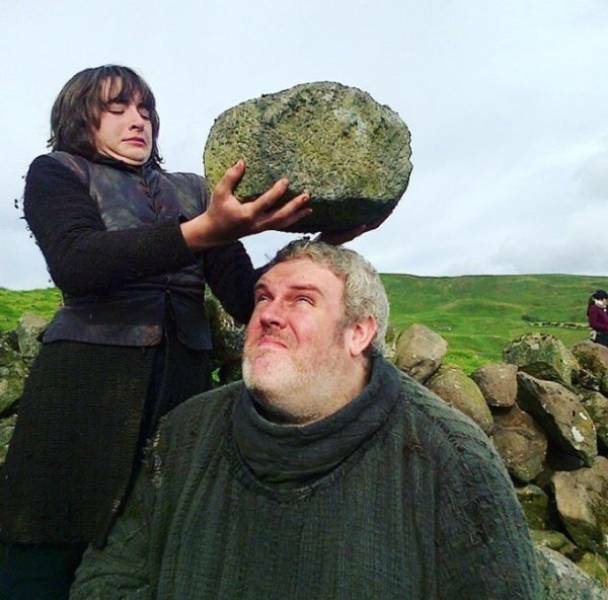 Bran and Hodor testing the props. 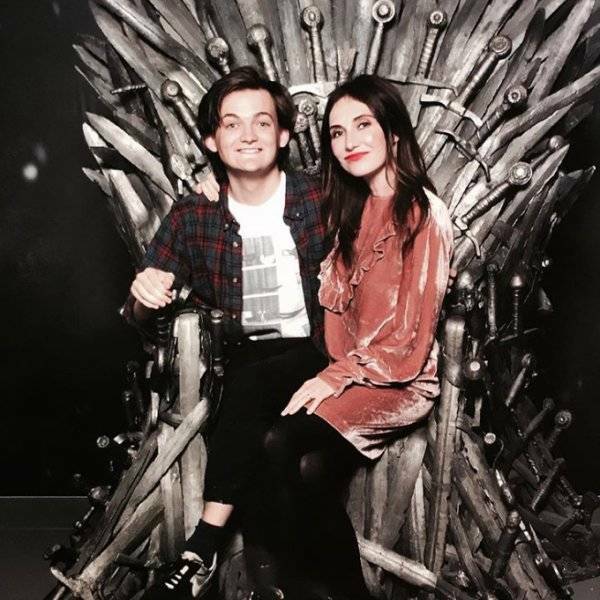 King Joffrey and Melisandre keeping it casual on the throne. 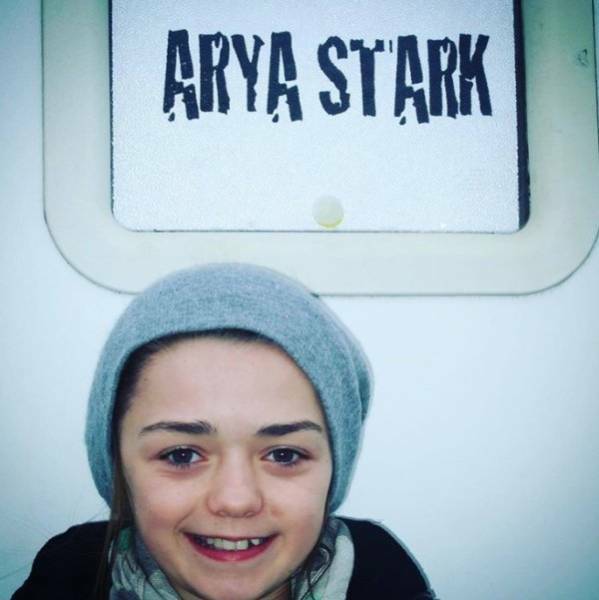 Arya snapped this selfie on the first day of shooting the series. 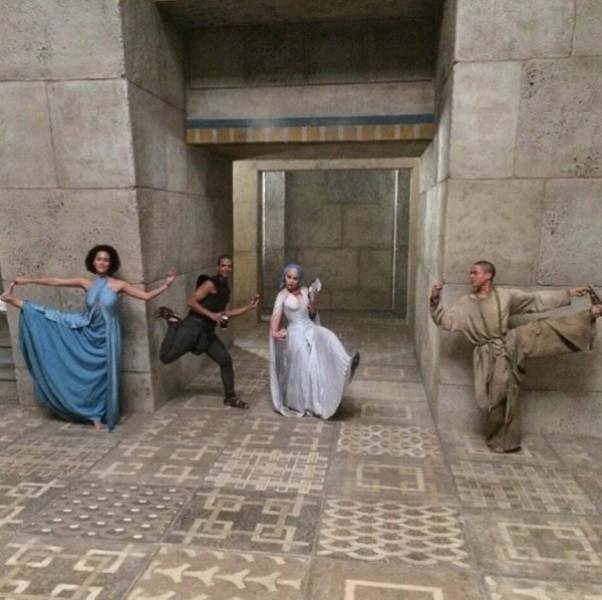 Khalessi, Missandei, Grey Worm, and Mossador goofing off between takes. 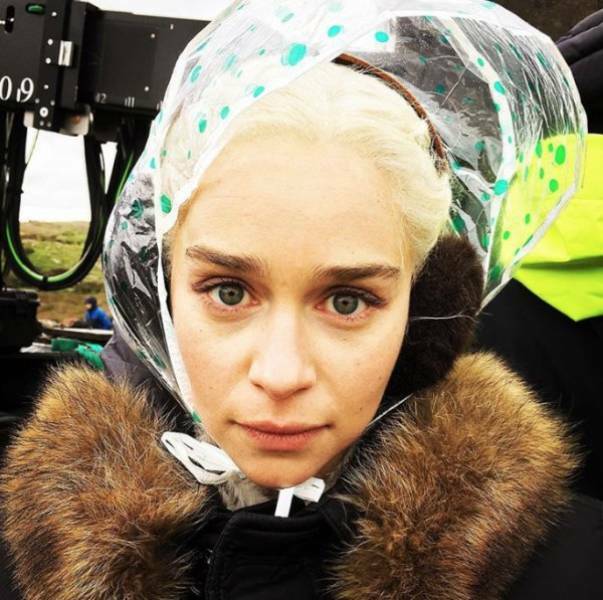 Daenerys Targaryen had to wear a waterproof bonnet to shield her hair from the rain. 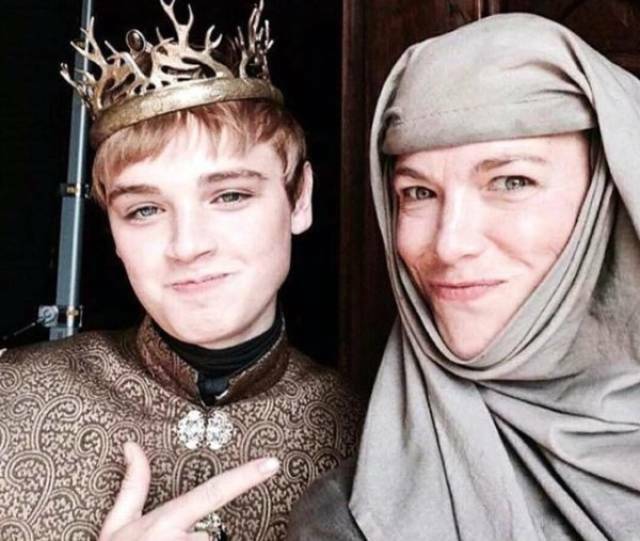 Queen Cersei making a duck face while getting caked up. 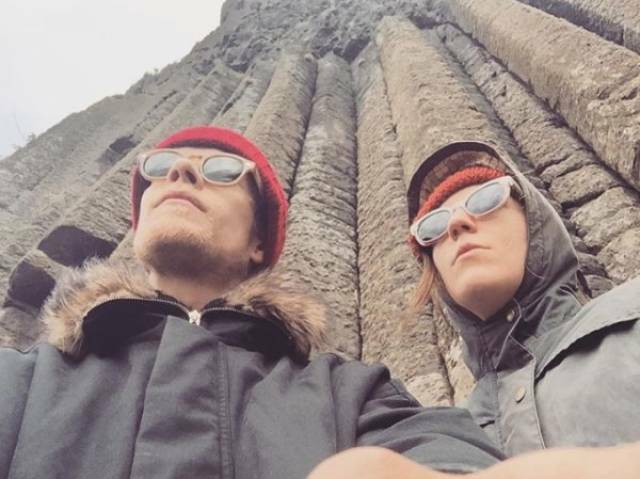 Theon and Ygritte rocking matching shades and beanies. 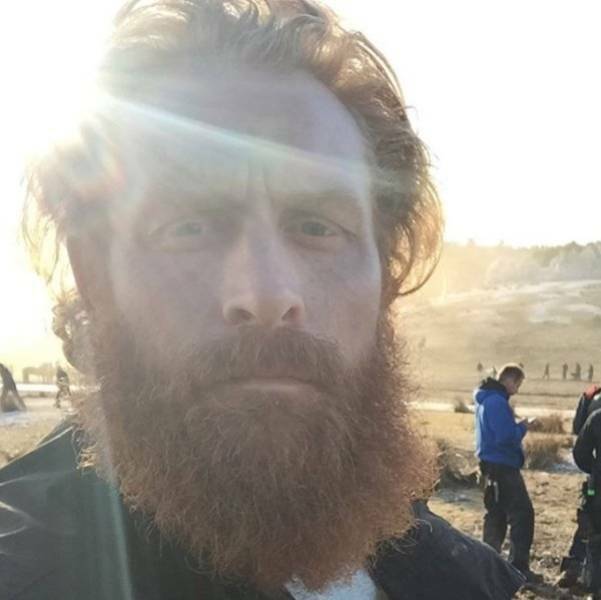 Tormund snapped this selfie before the Battle of the Bastards. 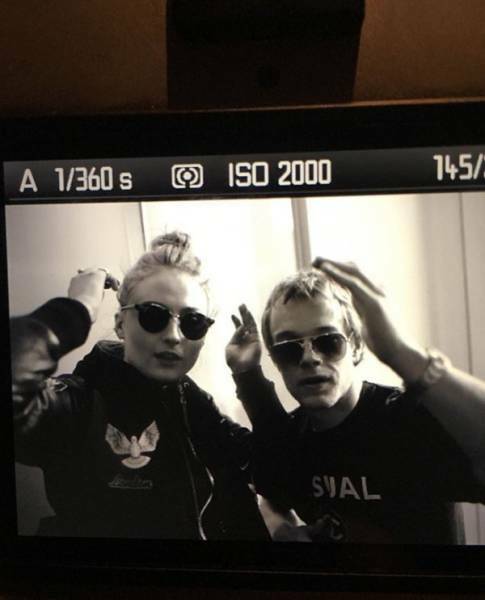 Sansa and Theo taking an action shot. 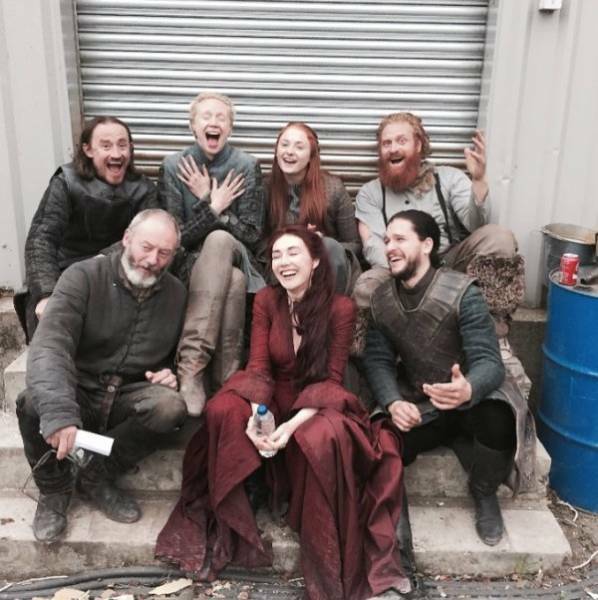 The gang posing for a “candid” group pic. The Mother of Dragons bumpin Tupac. 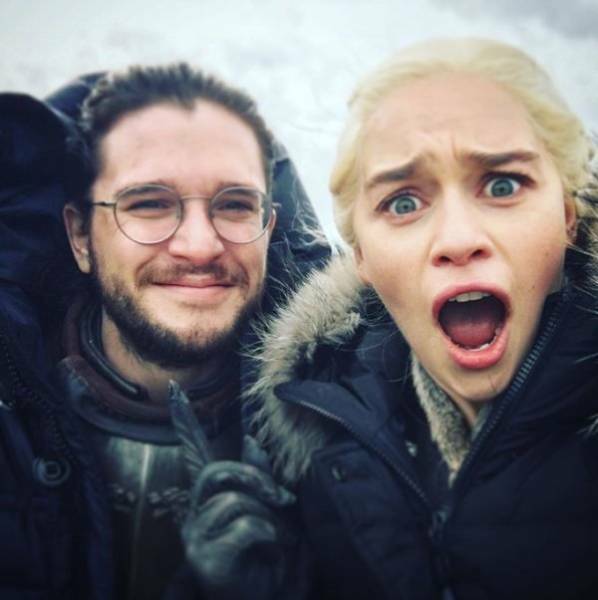 Who needs CGI when Jon Snow can do this kickass dragon impersonation?